Three position adjustable lens angle for optimum fit and sightline. Adjustable temple lengths. Soft, elastomeric browguard cushions contact with the face. Soft, flexible nose bridge pivots to fit comfortably on the face. Wide frame size fits workers with larger size heads. Ventilation channel designed to help minimize fogging. 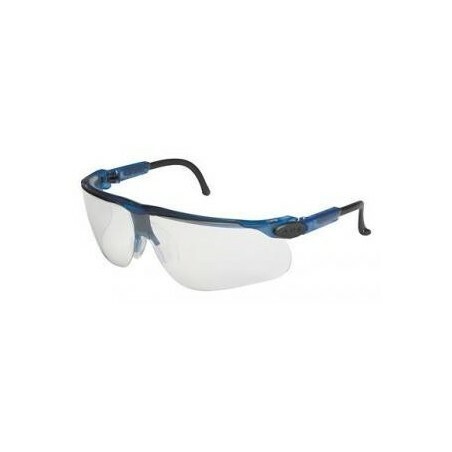 Three position adjustable lens angle for optimum fit and sightline. Adjustable temple lengths. Soft, elastomeric browguard cushions contact with the face. Soft, flexible nose bridge pivots to fit comfortably on the face. Wide frame size fits workers with larger size heads. Ventilation channel designed to help minimize fogging. Lenses of the spectacle and dust goggle versions are interchangeable. Meets the requirements of CSA Z94.3-2007 and the High Impact Requirements of ANSI Z87.1-2003. 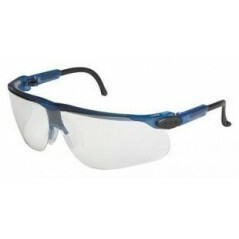 This 3M personal protective equipment must be used in compliance with the Occupational Safety and Health Administration (OSHA) Personal Protective Equipment (PPE) standard (29 CFR 1910.132) and all other applicable health and safety standards, as well as all user instructions, warnings and limitations accompanying each product. It is essential that all product user instructions and government regulations on the use of each product be followed in order for the product to help protect the wearer. Misuse of personal protective equipment may result in injury, sickness, or death. For correct product selection and use, individuals should consult their on-site safety professional or industrial hygienist.